SEOUL, South Korea - Global stock markets kicked off the week mostly higher on Monday as investor sentiment was boosted by the U.S. monthly job report showing a sustained recovery in the labor market and a rebound in Chinese manufacturing activity. 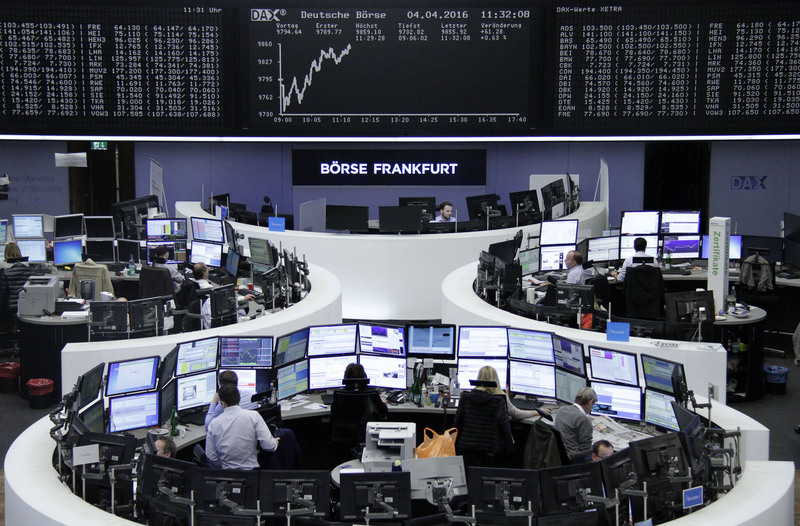 Britain's FTSE 100 rose 0.4 percent to 6,171.34 and Germany's DAX gained 0.5 percent to 9,840.99. France's CAC 40 added 0.5 percent to 4,343.16. U.S. futures showed a tepid start for Wall Street with Dow futures up 0.2 percent; S&P futures rose 0.3 percent. The U.S. government said Friday that job growth continued at a strong clip in March, slightly stronger than investors expected and showing employers were confident enough to add staff despite the slowing economy. Employers added 215,000 jobs last month, a solid figure but not enough to keep up with the new job-seekers. More people also looked for work and wages edged higher. "This month's job data, together with strong job growth over the last few months, will help to maintain investor's confidence in the U.S. economy and reduce worries of a recession," said Margaret Yang, a market analyst at CMC Markets Singapore. But the latest U.S. job report will have a limited impact on the market's expectations for another rate hike this year, Yang said. "Much stronger job growth numbers and rising inflation is probably needed to put pressure on the Fed to raise rates faster." China's manufacturing activity rebounded in March to its highest level since late August, official data showed on Friday. The purchasing managers' index came in at 50.2 in March, up from February's 49, Xinhua News Agency reported citing official data. A reading above 50 indicates expansion. Tokyo's Nikkei 225 stock index fell 0.3 percent to 16,123.27. Seoul's Kospi edged up 0.3 percent at 1,978.97 while Singapore's Australia's S&P/ASX 200 was down 0.1 percent to 4,995.30. Stocks in Singapore, Indonesia and the Philippines were also higher. Stock markets in China, Hong Kong and Taiwan were closed for a holiday. Oil prices faced selling pressure after reports that Saudi Arabia would freeze its production only if Iran and other producers agreed to do the same. Benchmark U.S. crude fell 12 cents to $36.66 per barrel in electronic trading on the New York Mercantile Exchange. The contract fell $1.55 on Friday to close at $36.79. Brent crude, used to price international oils, added 9 cents to $38.75 in London. The euro weakened to $1.1367 from $1.1394 while the dollar fell to 111.61 yen from 111.66 yen.